Discover the rich history and tradition of our community. 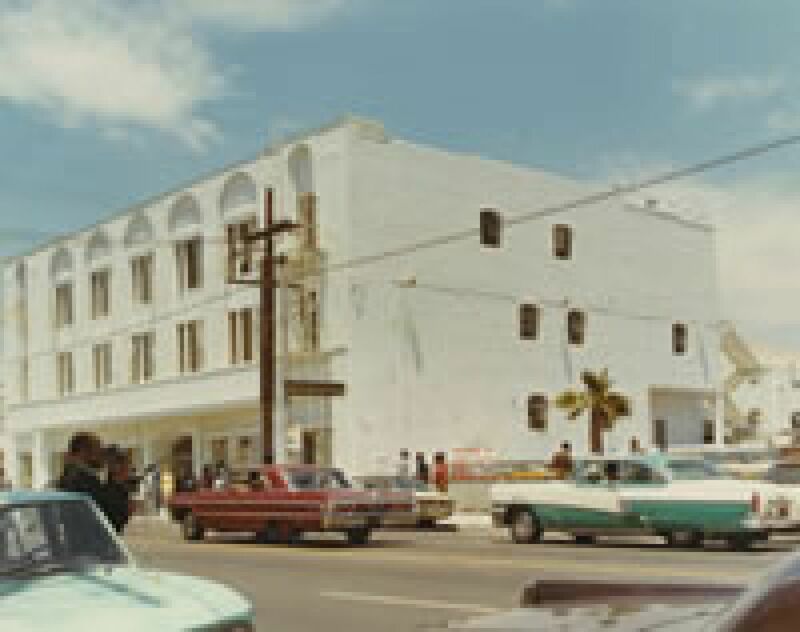 Masjid Bilal has been a part of Los Angeles history for over sixty years. The rich history and tradition, of this community, which evolved from a few committed Muslims meeting in a house, spans more than half a century. 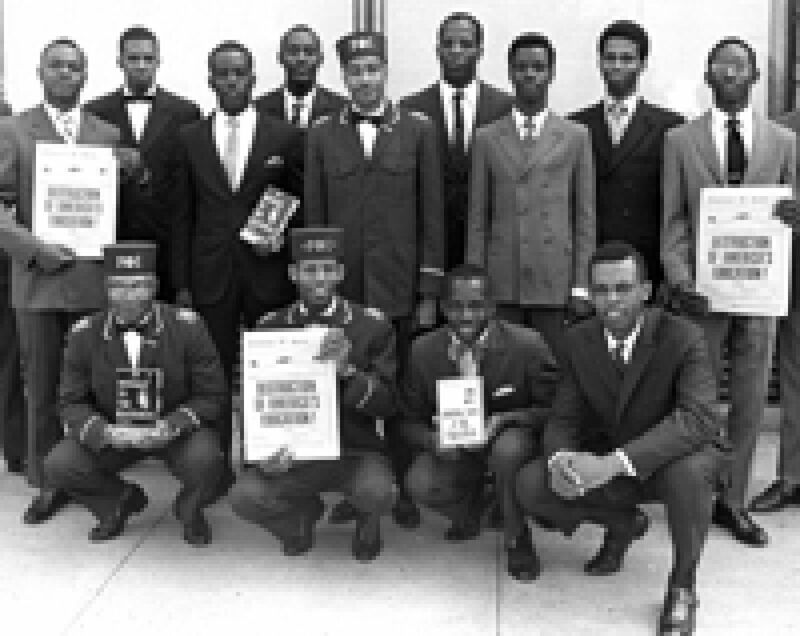 Originally formed in Los Angeles during the 50's, following the message of the Honorable Elijah Muhammad, the community evolved into mainstream Islam under the leadership of his son, Imam W. Deen Mohammed. 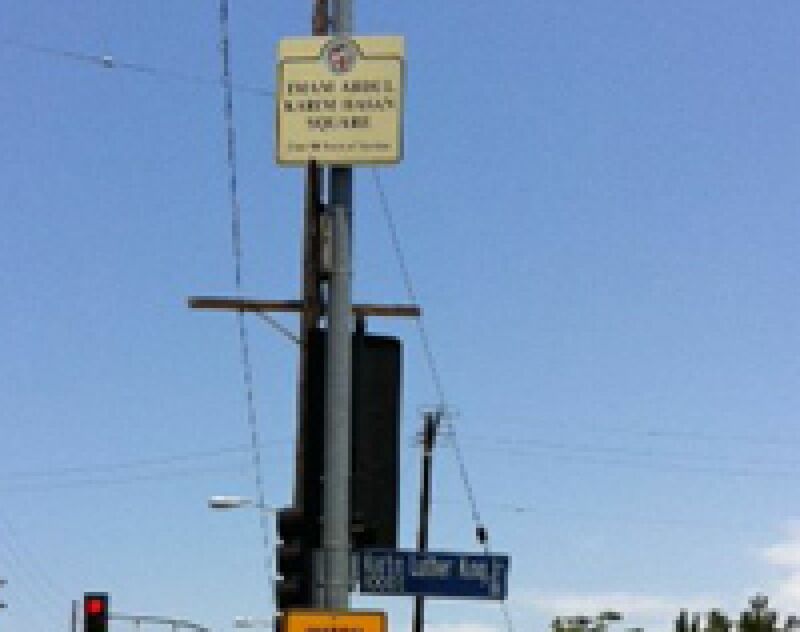 The Bilal community has been an intricate part of Los Angeles history for over fifty years. 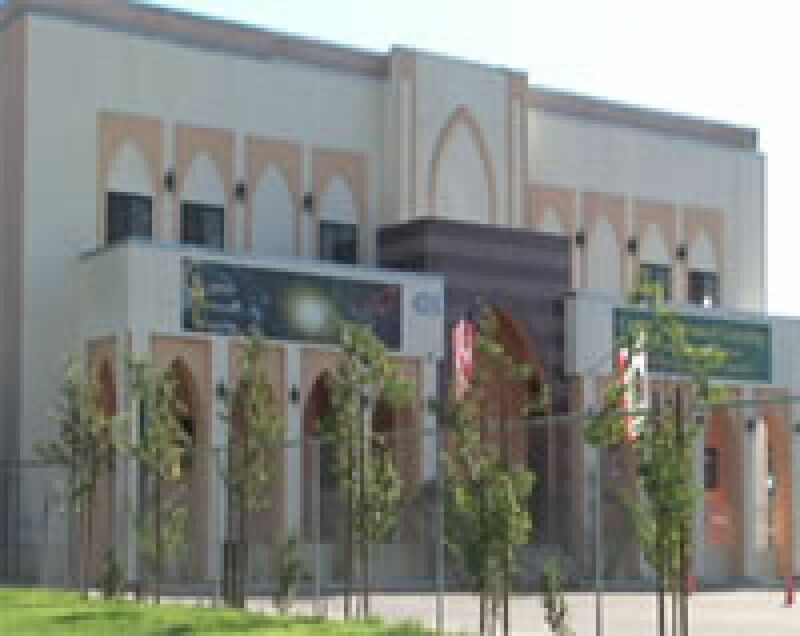 Formerly called Muhammad's Temple of Islam #27 and located at 5606 Broadway Ave; the community first began to grow under the guidance of its local minister John Shabazz. His efforts led to opening the city's first Muslim school in the early 60's, which began providing private education for its youth. 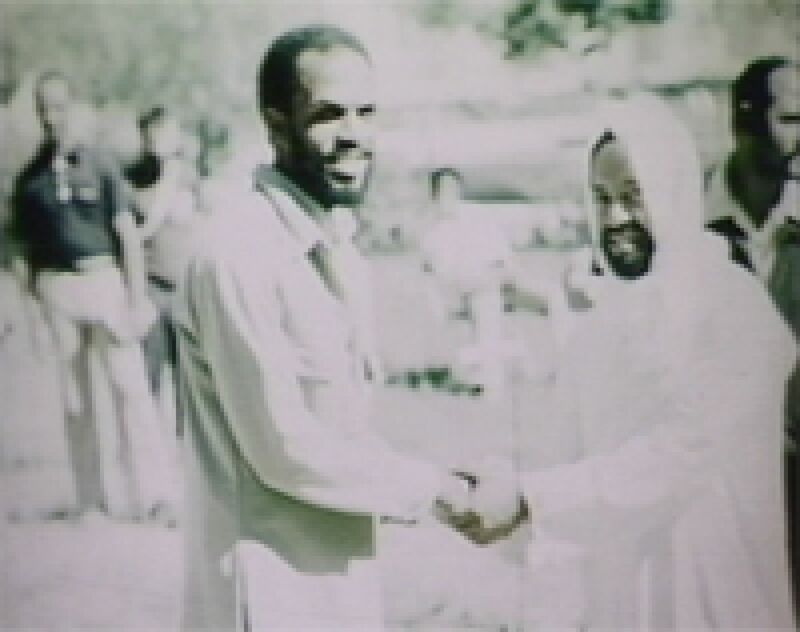 Subsequent ministers, such as Herman Rassoull and Bashee Muhammad, helped further the growth of Muslims throughout the Southern California area. 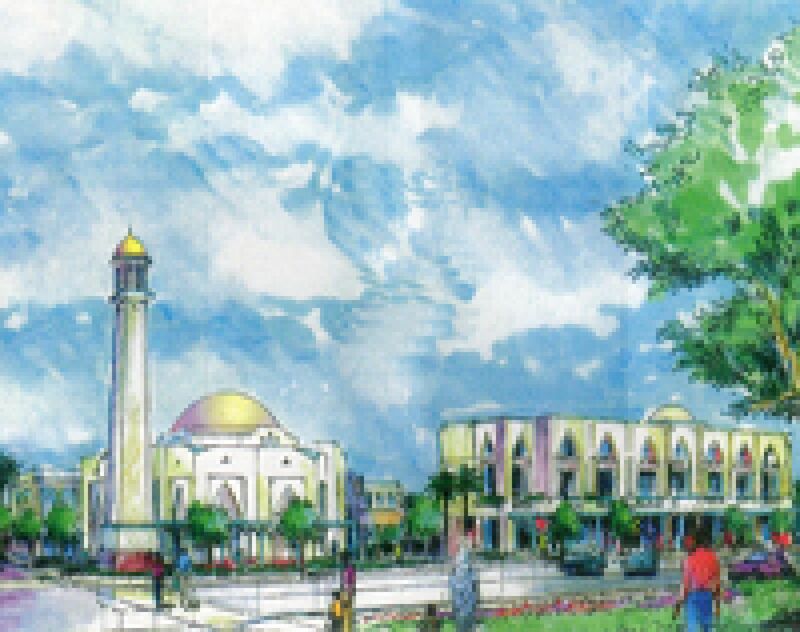 New Muslim communities would soon arise in Compton, Long Beach, Pasadena, Pacoima, Bakersfield, and Riverside, with some as far away as Fresno. In 1971, Abdul-Karim Hasan was selected to lead the Muslim community. Under his leadership, the community would purchase its current property in May of 1973, which would help shape the dynamics for Islamic growth in the city. 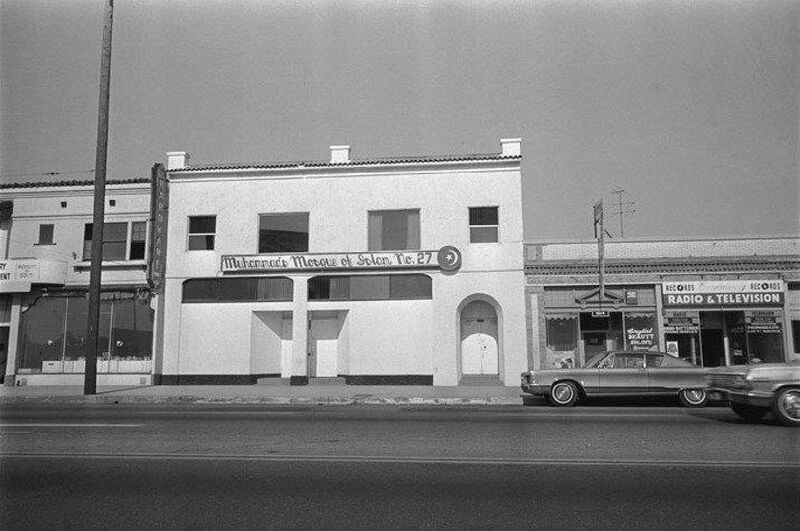 The historic building it purchased was a Los Angeles landmark. Built sometime around 1930, it was previously owned by an African American group called the International Brotherhood of the Protectorate of Elks. After purchasing the property for $180,000, the 40,000 sq. ft., 3-story brick building was immediately remodeled to accommodate the community's religious needs. The facility housed a prayer/meeting area, 6 businesses and a full-time school. The community's growth would be phenomenal. 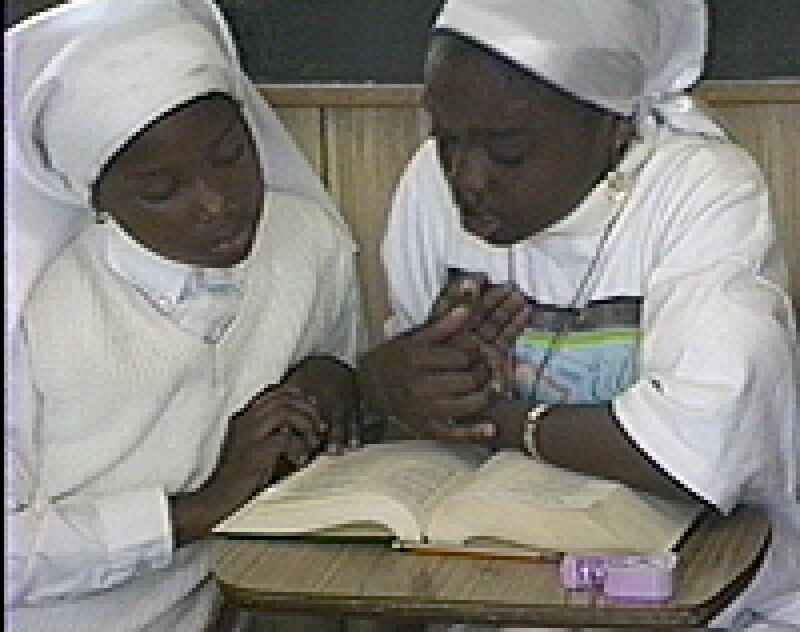 It's school became the largest private African-American school in Los Angeles history, attended by thousands of children, both Muslim and non-Muslim. 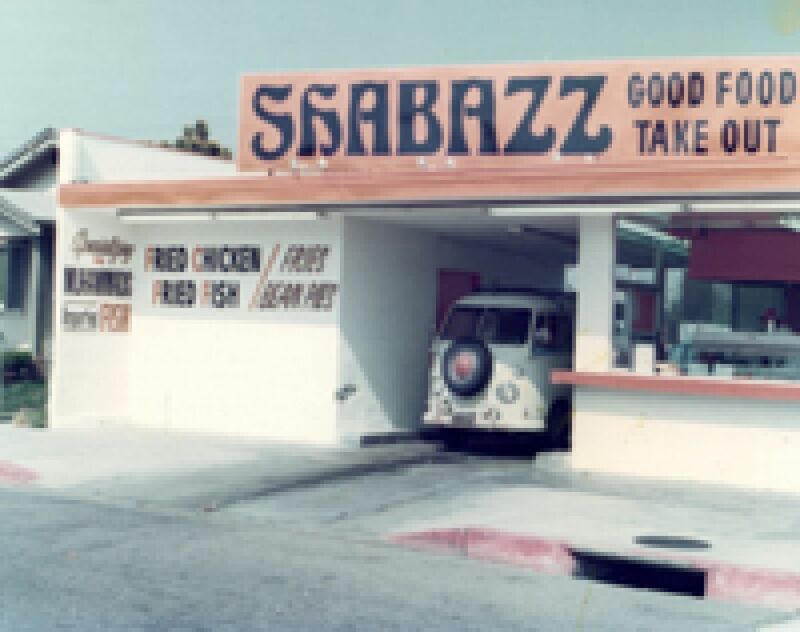 The Bilal community owned and operated businesses throughout the inner city of Los Angeles. Drive-thru restaurants, bakeries, markets, grocery stores and gas stations including a 30,000 sq. ft. supermarket dotted the city's landscape. Our fish business was enormous with thousands of tons of fish being imported from Peru and shipped into the Los Angeles Harbor. 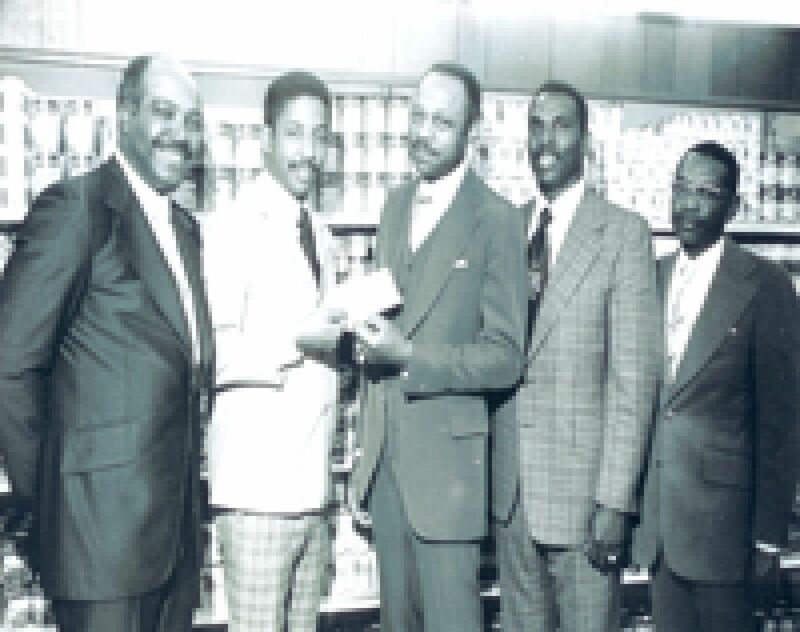 During the 70's, Allah blessed Masjid Bilal's propagation efforts, which reached tens of thousands of Americans, including prominent city officials and some of the world's best-known celebrities, who attended our events. In 1974, Abdul Karim Hasan helped establish the State of California's first Muslim Prison Ministry program, becoming an official advisor to the Director of the California Department of Corrections, and was the first Muslim member of the State Advisory Committee for institutional religion (S.A.C.I.R.). 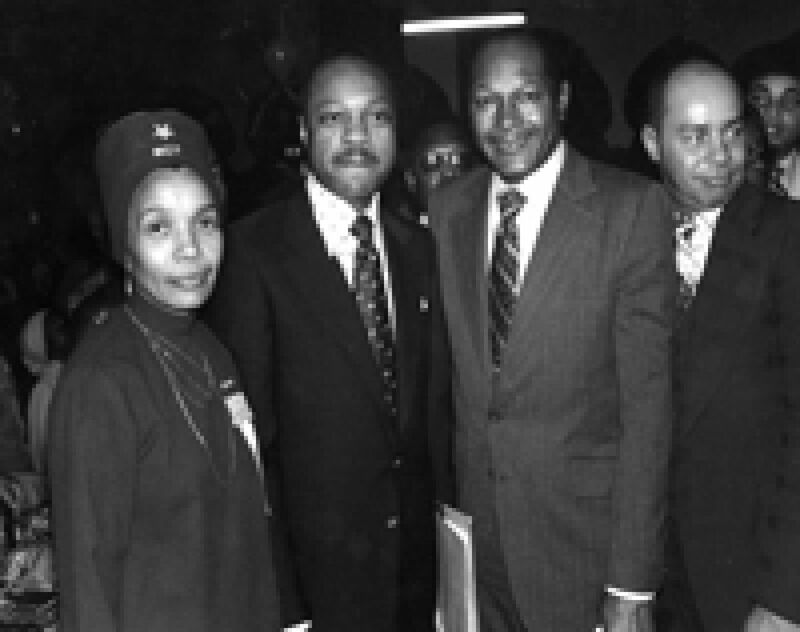 In 1975, we began our transition to mainstream Islam under the leadership of Imam W. Deen Mohammed. It was through the Imam's knowledge of the Quran, and the life example of Prophet Muhammad (SWT) that our spiritual lives began to change. 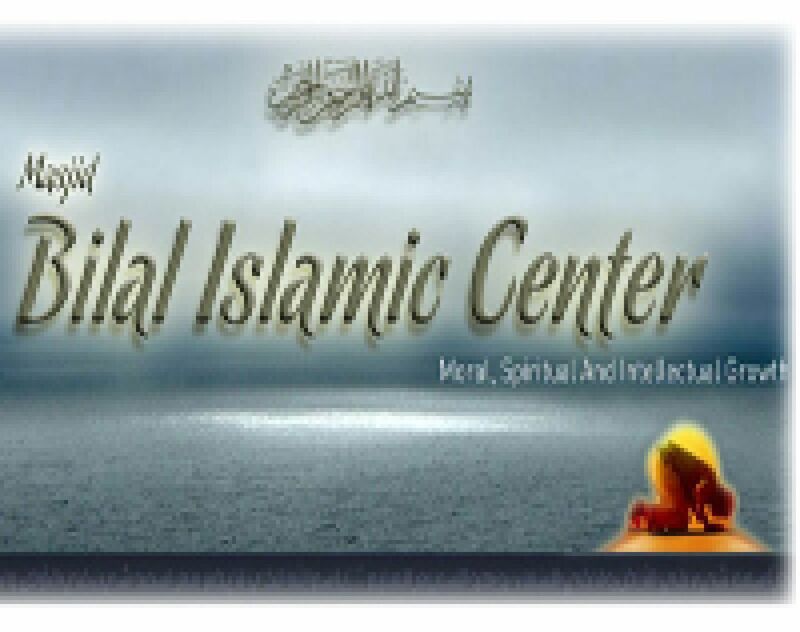 Masjid Bilal Muslims would become the first identifiable large mainstream Islamic community in the city of Los Angeles, which spawned other Islamic centers in South L.A.. 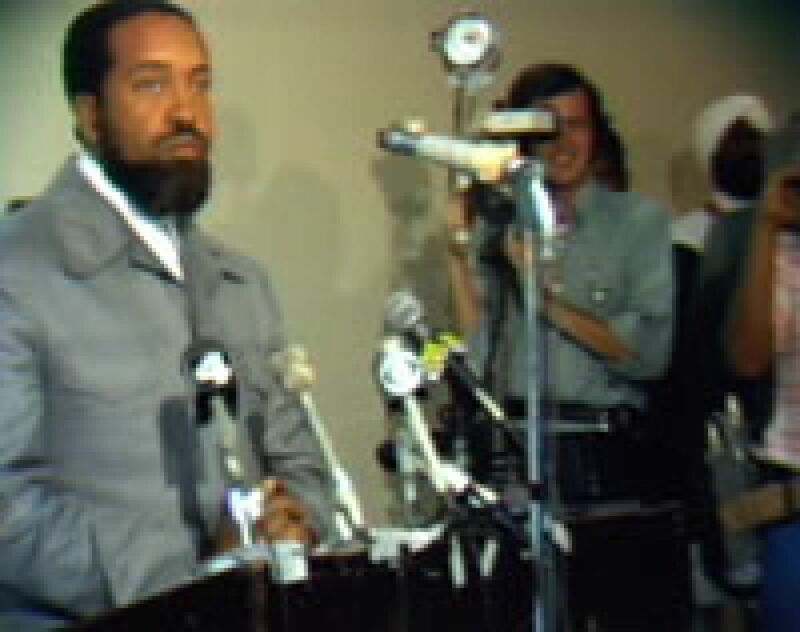 In 1976, Imam Mohammed held a historic press conferences at the Los Angeles Sports Arena, to announce the major changes he was making to the Nation of Islam. The event was covered by press from around the world and set the tone for Bilal's Islamic propagation efforts for years to come. Imam Mohammed would become a frequent visitor to Los Angeles and together we would reach for unprecedented heights in promoting the religion of Al-Islam. 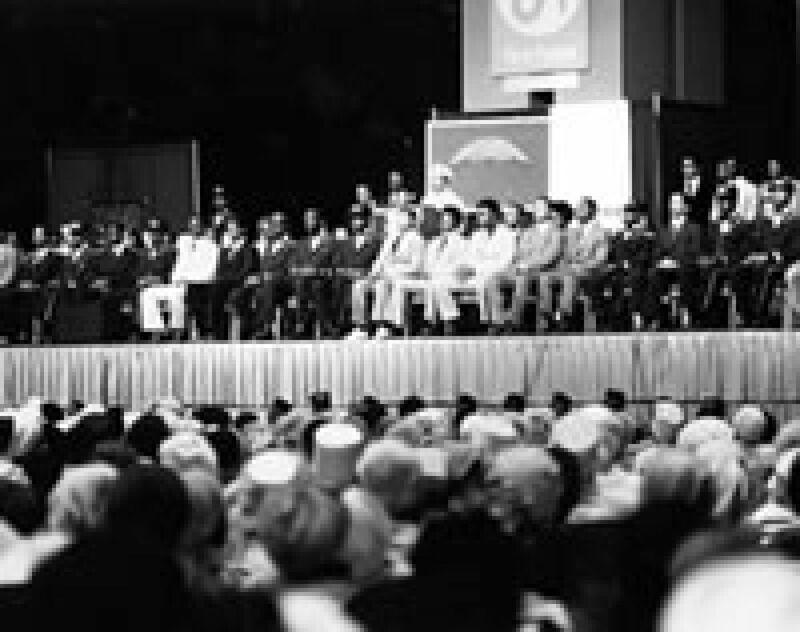 In 1977, the largest single group of Muslims from America (300), made the Hajj pilgrimage at the invitation of Rabita Al-Islamia and led by Imam W. Deen Mohammed. The delegation was received by his highness King Khalid in his palace at Mina, where he greeted and shook the delegates hands. 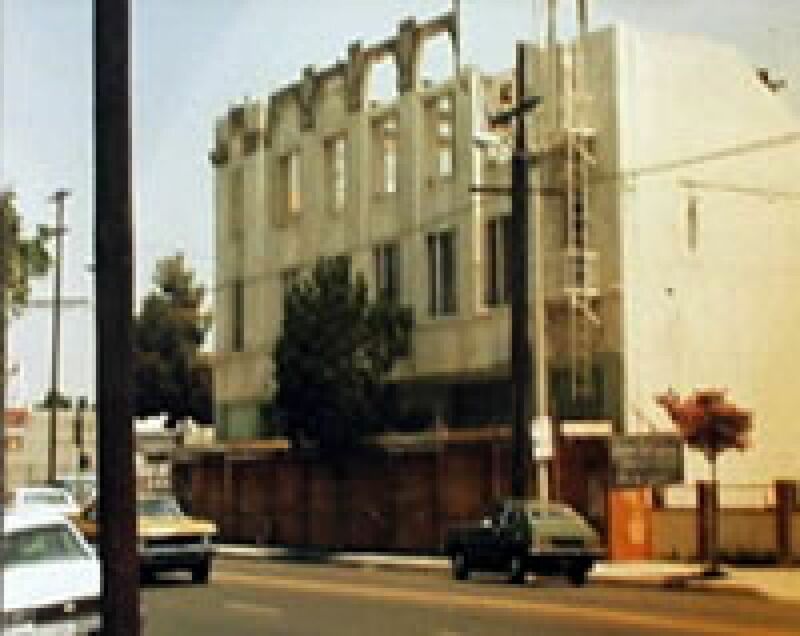 During the 1980's, our building was demolished due to earthquake damage. That would begin our quest to build a new three phase religious, educational and business complex. The City of Los Angeles Department of Building and Safety approved the three-phase plan in 1999. Phase one was to build a state of the art educational facility. Construction would begin in 2000 and the Bilal Learning Center would take nearly 7 years to complete. The sixteen-classroom school building was completed in 2007, with the help of Saudi Arabia businessmen and women, Grants from the Islamic Development Bank of Saudi Arabia, Sheik Hajj Muhammad Dakhil and Family, Sister Dalal Muhtadi and Bilal Islamic Center members. 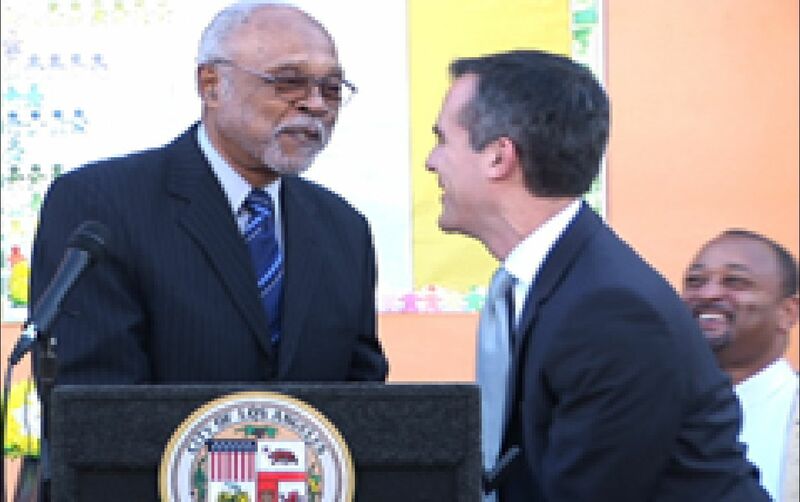 The Bilal Learning Center has become a bright beacon of light for the city of Los Angeles. The building is now home for the Center for Advanced Learning (CAL), a Los Angeles Unified School District charter school that educates more than 300 students from the surrounding community grades Kindergarten through 5th. The school has become highly successful and a leading model for Muslim communities throughout Southern California. Today, Bilal Islamic Center continues to serve South Los Angeles through dedicated community outreach that encourages trust and understanding with our fellow Angelinos. In 2013, Los Angeles Mayor Eric Garcetti made a special visit to see Bilal Learning Center, and praised our school's efforts. 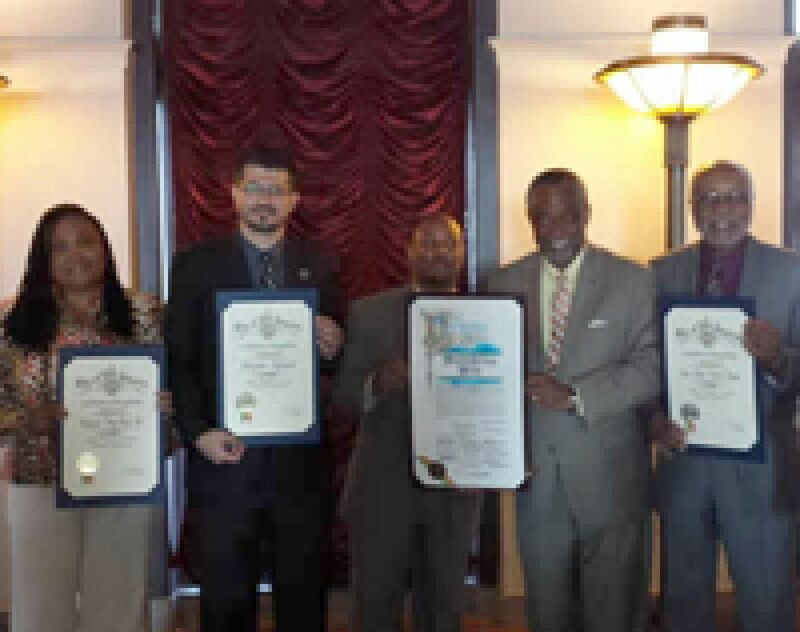 In 2014, the Los Angeles Board of Supervisors honored Imam Abdul Karim Hasan, along with Najee Ali, Hussam Ayloush, May-May Ali, and the Umar Clinic, at City Hall, during the inaugural celebration of Muslim Heritage Month in Los Angeles. 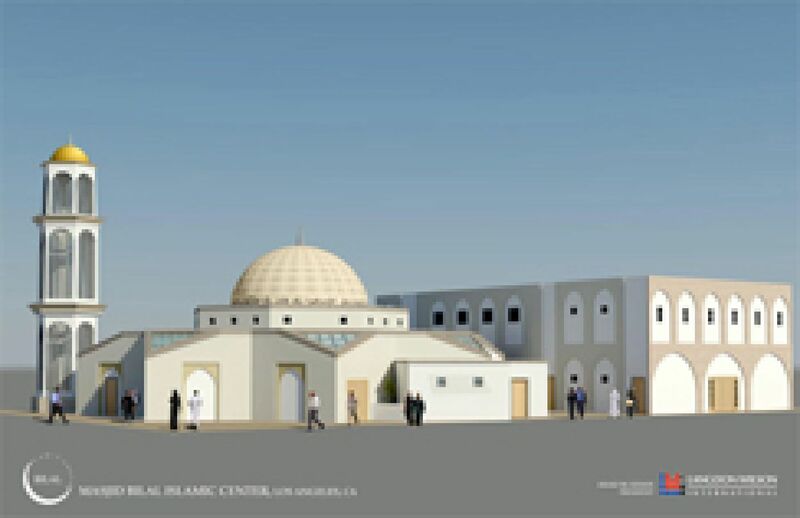 The Masjid Bilal Islamic Center is currently initiating a fund-raising drive to complete phase two of our plan, which is construction of a new Masjid center. Asad Khan, President of the Langdon-Wilson International Architectural Firm, submitted final designs for the new Masjid to the Los Angeles Department of Building & Safety on August 1, 2016. With Allah's help, the community is determined to forge ahead towards the future with the same determination and energy that has defined our more than a half-century of history. We invite you to join and support us, as we continue to help build a G-d conscious and moral society in South Los Angeles.